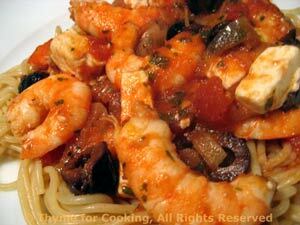 Shrimp with Greek Olives and Feta, Thyme for Cooking easy gourmet dinner. The Shrimp Pasta should use the rest of the feta. Start to marinate the beef for Saturday.